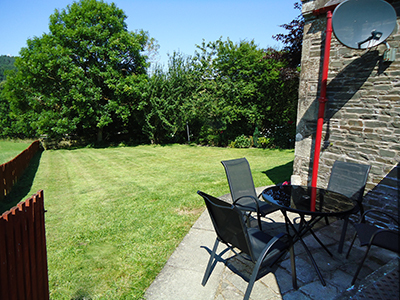 Martinshouse holiday cottage near Hawick is the ideal place to stay if you are looking for self catering holiday cottage in the Scottish Borders . Just 2 miles south of Hawick on the A7, our holiday cottage is detached with its own private road and a spacious fenced garden. If you want pet friendly holiday accommodation, privacy and space, Martinshouse will suit you down to the ground. Our charming cottage has two bedrooms, one with a king size double bed and the other with a double and a single, a comfortable lounge with lovely views over the surrounding countryside. Bedding, towels and electricity are all included. All the amenities Sky tv with 42″ inch flat screen, Unlimited Wi-fi, Dishwasher, Cooker, Microwave, Fridge, Freezer, Washing machine. Hawick, one of the largest Border towns, is part of The Cashmere Trail and the major centre for the industry in the Scottish Borders. You will find big names and smaller designers in the many specialist shops throughout the region. The Heart of Hawick encompasses the Heritage Hub, cinema/theatre, exhibitions, cafe/bar and workshop space. It is also home to the Visit Scotland Information Centre. The Heritage Hub is home to the Scottish Borders archive and local/family history centre.. You will be ideally situated to tour the Borders, visit Hawick, play golf or go walking. It’s a friendly town with a superb leisure centre. Martinshouse is a great place to relax and unwind. Our guests say its one of the better holiday cottages in the Scottish Borders.